"I changed my passcode on my iphone and i forgot what it is. I dont have a comp so I don't have iTunes ablity. Is there ANY way that I can get in my phone?! Help"
If you forgot your iPhone lock screen password or getting the 'iPhone disabled' message as having typed the wrong passcode several times in a row, even worse, you don't have access to a computer. Don't panic! Here we will provide you with two workable solutions to bypass iPhone 8/8 Plus passcode without iTunes. 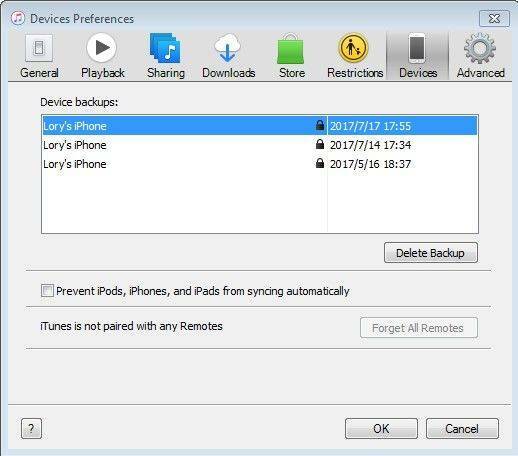 When it comes to disable iPhone lock screen passcode without restoring or without using iTunes, a lot of people may try to restore device to factory reset with iTunes. But if there is something wrong with iTunes or you are unable to get access to a computer at present, then you have to find an alternate to have the passcode erased. Here I want to introduce another solution to access disabled iPhone without iTunes when you forgot iPhone 8 passcode by using a lock screen passcode removal tool Tenorshare 4uKey. This iPhone password reset software is capable of removing forgotten password including Touch ID and Face ID info in a few minutes. Download and install Tenorshare 4uKey to a PC/Mac before we get started. Step 1 Launch Tenorshare 4uKey and connect your iPhone to computer via USB cable. Once your device has been detected, simply hit Start to remove iPhone passcode. Step 2 Before unlocking iPhone passcode, you have to download the latest iOS firmware package online. 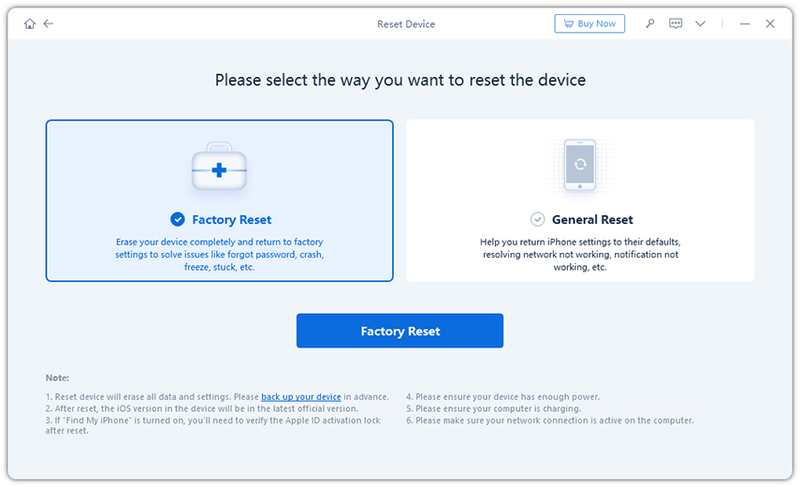 Step 3 When the firmware is downloaded to computer, click on "Unlock Now" to start factory restoring iPhone without passcode. Step 4 When iPhone passcode has been removed successfully, you will notice you can enter your iPhone without entering any passcode. Now 4uKey fully supports with iPhone Xs/Xs Max/XR and iOS 12. If you have any passcode-related problems on the new devices, don't hesitate to give it a try! The second solution to remove lock screen passcode from iPhone without iTunes when you locked out of your iPhone is using the "Find My iPhone" if you have enabled this feature on your device before. Head over to icloud.com/find and log in your Apple ID on another device or computer. Then click "Find My iPhone", and hit "All Devices" at the top of your browser window. Choose the device that you want to erase passcode from and click "Erase". After this, all the settings and passcode on your device will be erased. And you are capable of restoring iPhone from backup or set it up as new. Now, based on what I illustrated, the first solution obviously can be applied to bypass iPhone 8 and iPhone 8 Plus passcode without iTunes, while the second one is only workable when you have enabled "Find my iPhone" this feature before. Hence, I prefer to recommend the first one when you are in the need of password unlocking. Do you know of any other useful information about a locked or disabled iPhone or how to get around the disabled warning dialogs? Let us know in the comments.